True flight that tracks like a laser. 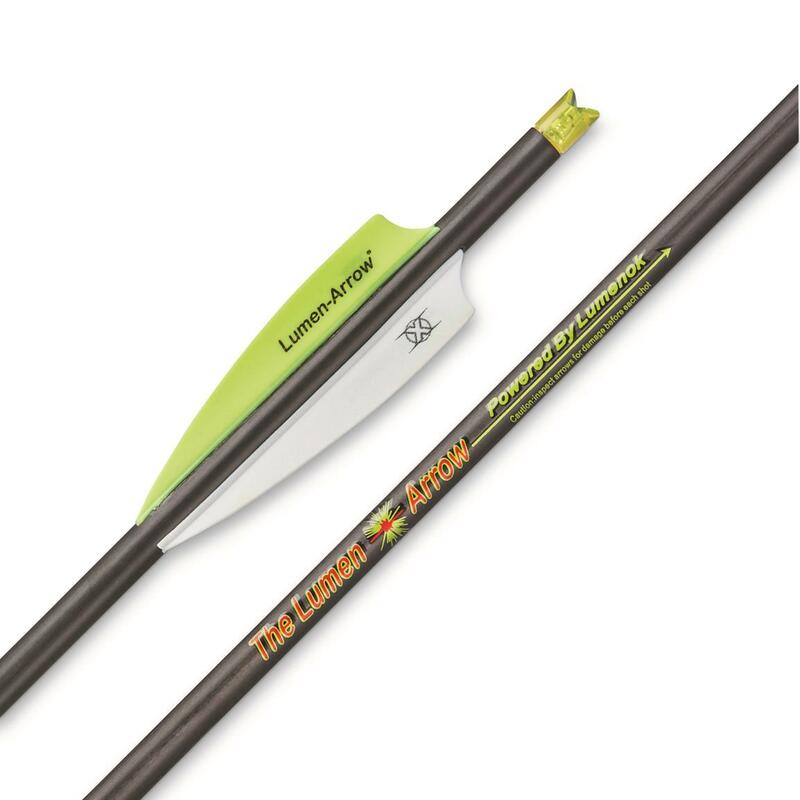 Track your arrow all the way to its target with these Lumenock Lumen-Arrow Crossbow Bolts. They're like tracer rounds for your bow! Lumenock lighted nocks not only make it easy to track arrow flight, they make it easy to find your bolt after a missed shot. Please Note: Fletching color may vary. Sorry, no choice. Lumenock Lumen-Arrow Crossbow Bolts, 22 , 3 Pack is rated 4.9 out of 5 by 10. Rated 5 out of 5 by denny from These bolts work perfectly. Within a few days of receiving the pack of LumenArrow Bolts I had the opportunity to take a nice 8 pt buck. The bolt flew perfectly to the target and the lumennock lit exactly as it was supposed to and was able to easily see where it hit the target. Have used these bolts in the past and they have never let me down yet. Rated 5 out of 5 by FredBos1943 from Like a Laser I can't wait to Hunt with These! knowing where an arrow hits a deer is so important, Ever since I started Crossbow hunting I couldn't see the Bolt flying because it is so darn fast. Here's the Solution! Rated 5 out of 5 by Lenny from Great product. Great product. You must shoot one to appreciate the effects. Fletchings came in a different color which was a cool red and white. Will purchase this product again. Rated 5 out of 5 by J3ff from Great Price Excellent quality as always with Lumenok bolts and arrows.